March of this year, a research paper of Dr. Yan Lei and others from teaching and research section of School of Criminal Investigation was published in Science China Chemistry. Science China is an A-class periodical subscribed by SWUPL, which is also the highest level of paper results recognized by SWUPL. The research paper is titled “Microwave-Assisted in situ Synthesis of Fluorescent Gold Nanoclusters with BSA/Montmorillonite and Application on Latent Fingerprints Imaging”. And Dr. Yan Lei is the lead author, and Dr. Yu Yanlin (the corresponding author) is the co-author. The paper mainly bases on a new nanometer powder with strong fluorescence prepared by the complex of gold nanoparticles in situ for the appearance of latent fingerprints on a variety of objects. Dr. Yan Lei has been doing research in the fields of the preparation and application of nanometer material, chemical sensing, and drug detection and so on. Dr. Yan Lei has made a major contribution for the scientific research of School of Criminal Investigation for the second time since supported by the National Natural Science Foundation Project of China last time. Science China Chemistry is a comprehensive academic journal of natural sciences co-sponsored by the Chinese Academy of Sciences and the National Natural Science Foundation of China, and is published by Science China Press. The journal publishes high-quality, innovative and great significant research results in both basic and applied research. This periodical is among the most influential academic journals in China. 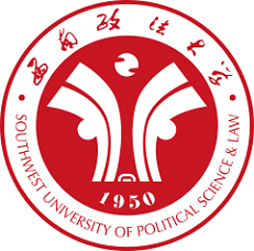 The magazine is one of the most academically influential journals in China. The latest influence factor (IF 2016) reached 4.132, JCR in Category Chemistry was shown as Q1.